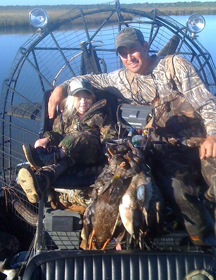 Captain Clint Anderson not only offers coastal fishing trips in some of the sweetest honey-holes on the Gulf coast, he also guides duck hunts during the respective seasons! Areas Include: Port O'Conner, Palacious, Port Lavaca, Seadrift, and surrounding areas. 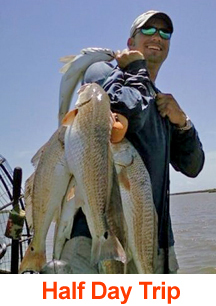 * = Corpus Chisti, Baffin, and surrounding areas; add $100 (to be paid at the dock). Pay for additional guests at the dock. 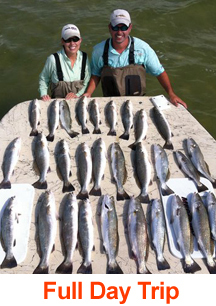 TEXAS FISHING LICENSE IS REQUIRED! Please verify date with captain. Game: Pintail, Redhead, Mallard, Widgeon, Teal, other waterfowl. To add addtional hunters, simply click the "Add to Cart" button, enter the "Quanity", then click "Update". Proceed to checkout. TEXAS HUNTING LICENSE AND DUCK STAMP ARE REQUIRED!